The area of Havana was surveyed in 1827 for Ossian Ross, who started the first business, a canoe ferry. The first settlement was named Ross' Ferry. The island of Belle Rose was at the mouth of the Spoon River. Because the island was shaped like the island of Cuba, locals named it Cuba. Locals eventually called their town Havana because they were next to "Cuba Island." Havana was incorporated as a town in 1848. 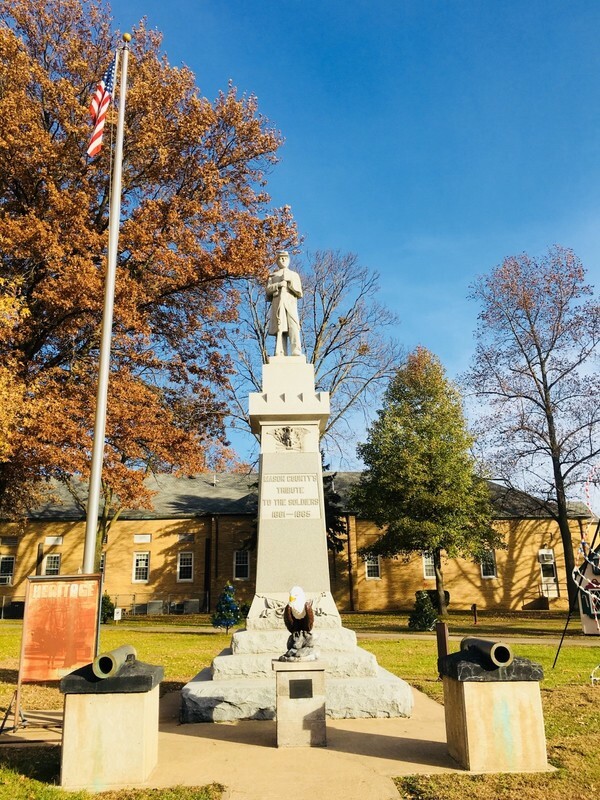 By 1900, the town was known as a fishing and hunting center, and was actually the most important inland fishing port in the United States. The economy boomed and the population peaked at about 5,000. There were hotels, bars, and gambling houses to entertain the sport hunters and sport fishermen who enjoyed huge catches of fish and game. Havana was a bustling town during the first half of the twentieth century. Among its businesses were four floating fish markets (Watt's, Rudolf's, Shaffer's, and Riley's), five major grocery stores (A & P, Glick's, Kroger's, Morgan's, and West's), three movie theaters (Havana, Majestic, and Lawford), and three drugstores (Wolter's, Deckard's, and Tarbill & Ermeling's). ​In Havana's heyday, in the 1930s and 1940s, visitors and residents parked their cars on the main downtown streets on Saturday afternoons to get ready for an evening on the town visiting friends and patronizing the restaurants, bars, night clubs, and gaming houses. Postcard of Tarbill & Ermeling storefront on the corner of Main and Plum Streets. 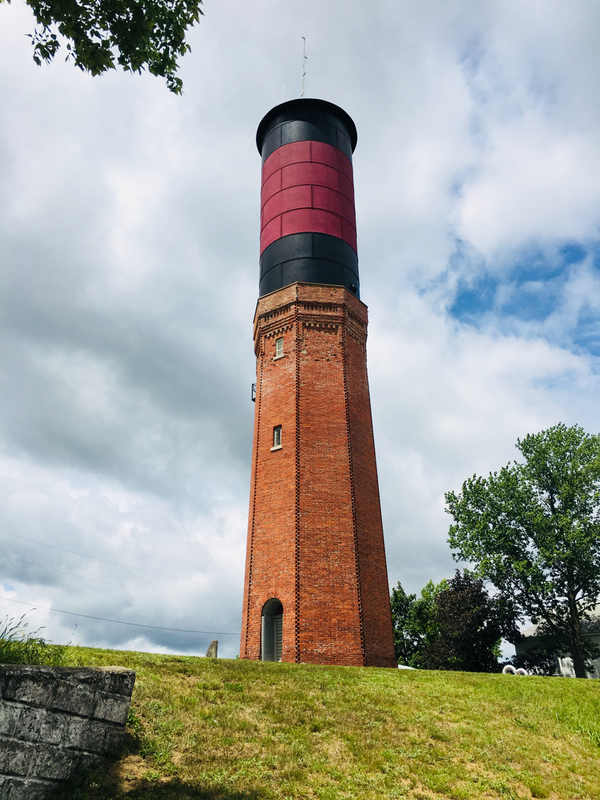 Historic water tower stands like a sentinel at the top of Main Street hill. Erected in 1889 it is still in use today. 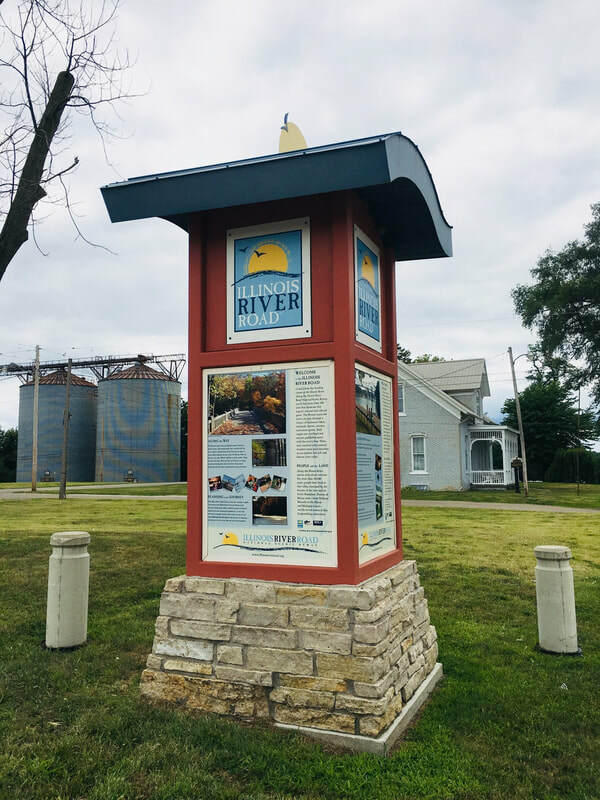 Click the button for a video tour of Havana, Illinois by the Illinois River Road Scenic Byway!